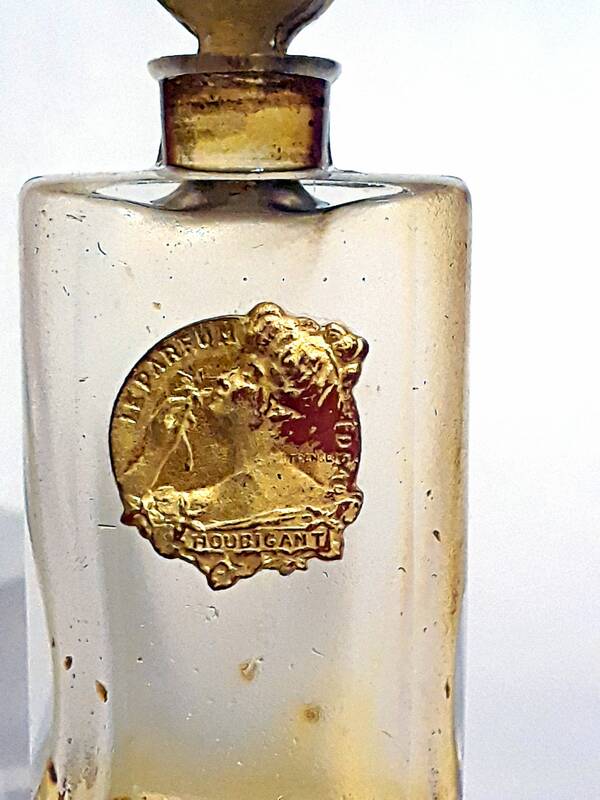 Antique 1920s Ideal by Houbigant Parfum Miniature Mini Perfume Crystal Baccarat Bottle VINTAGE Extrait. The cute little bottle stands just over 2.25" tall x 1" wide x 1/2" thick. 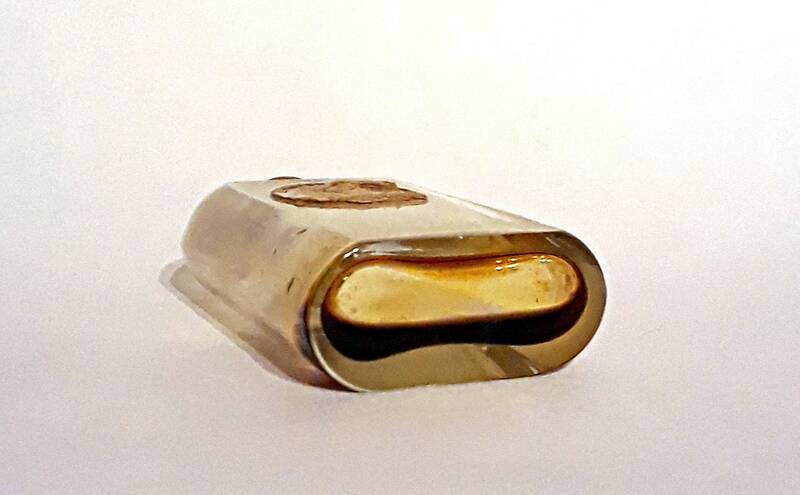 There is only a small amount of perfume residue inside. The stopper is frozen in place and I will not force its removal. 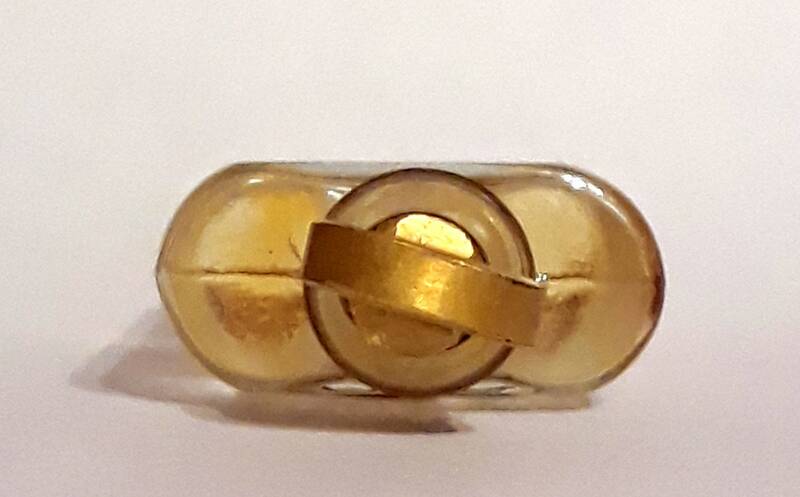 The small stopper is gilded. 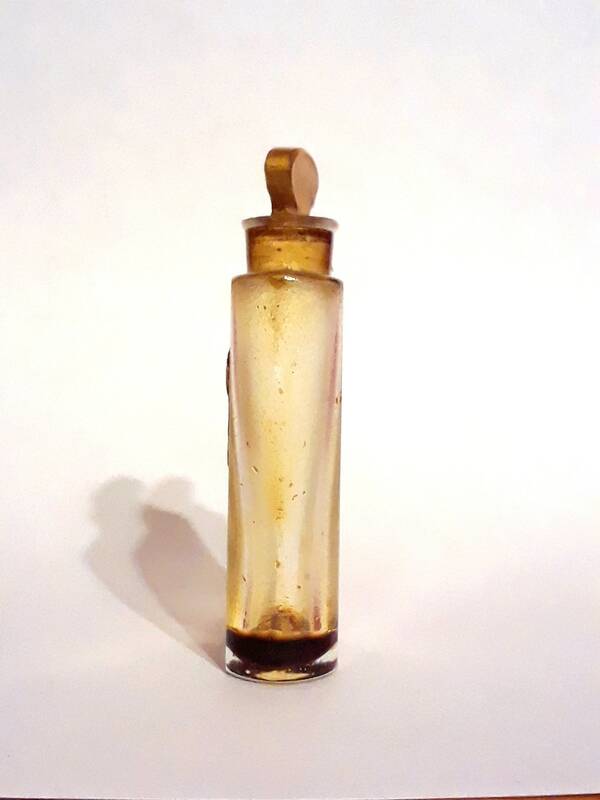 This is a tiny flacon that was used for various Houbigant perfumes, it was produced by Baccarat and was used as a purse bottle because of its small size which made it the perfect size for keeping in the handbag. The bottle is unmarked. 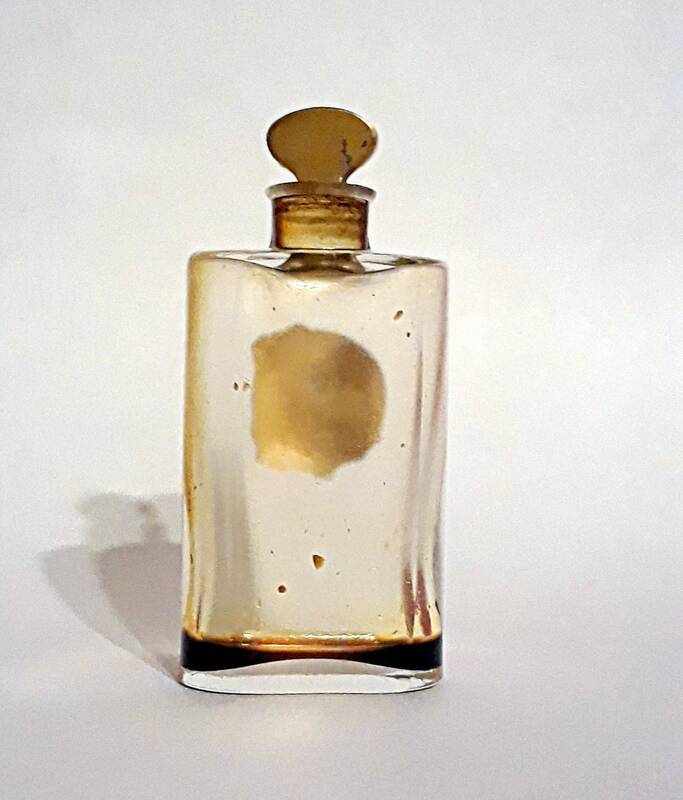 Early examples of Baccarat bottles were not always marked. 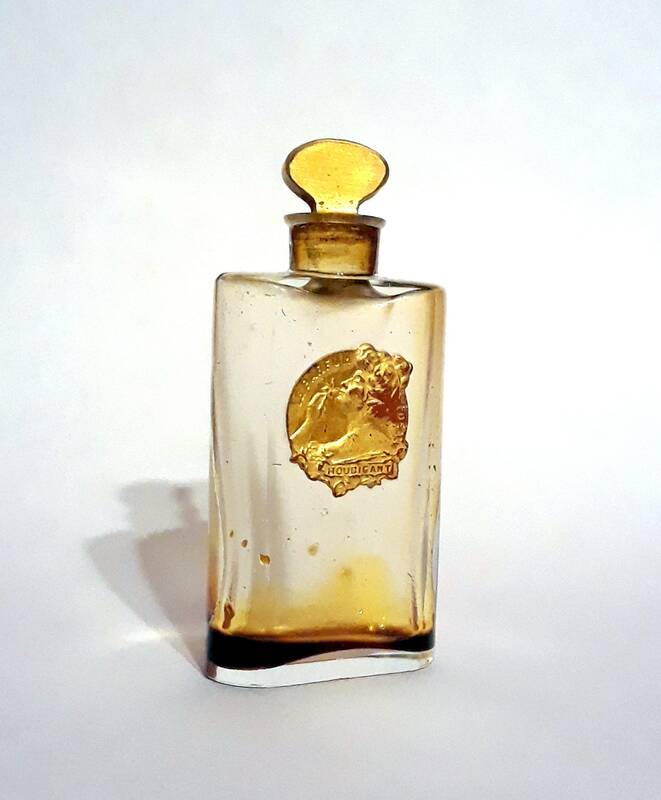 Bottles were engraved with a mark only from 1936 onward. Prior to this, some were stamped, others had a small circular paper label, and many have no distinguishing mark at all. 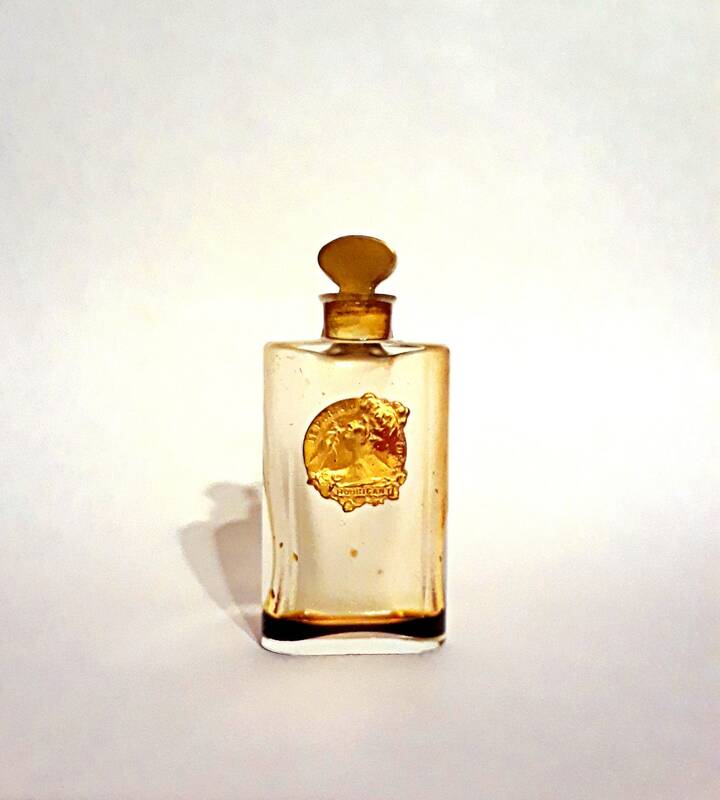 Many bottles are usually signed with an acid etched mark. After 1936, all bottles were stamped with a logo. Launched in 1896. 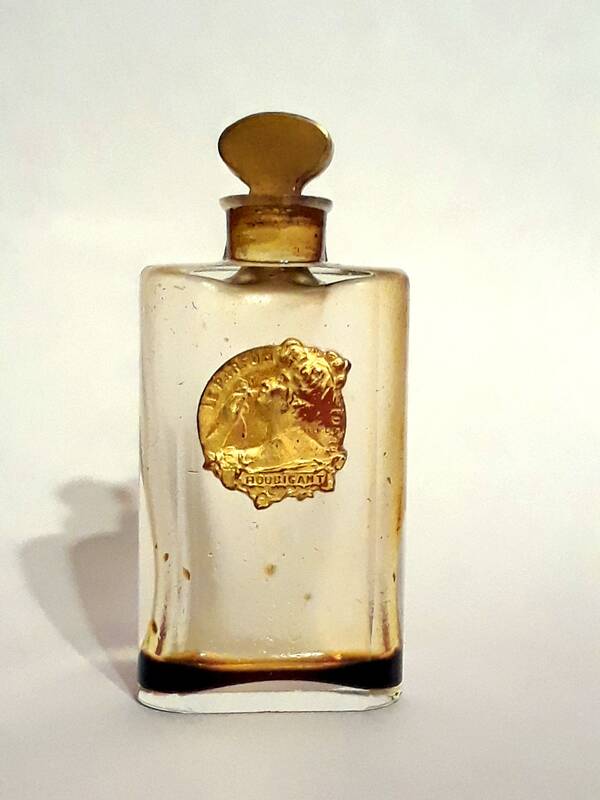 Ideal was the first floral composite bouquet perfume, containing synthetic compounds of coumarin and salicylates. It’s originality made it a great success for many years. 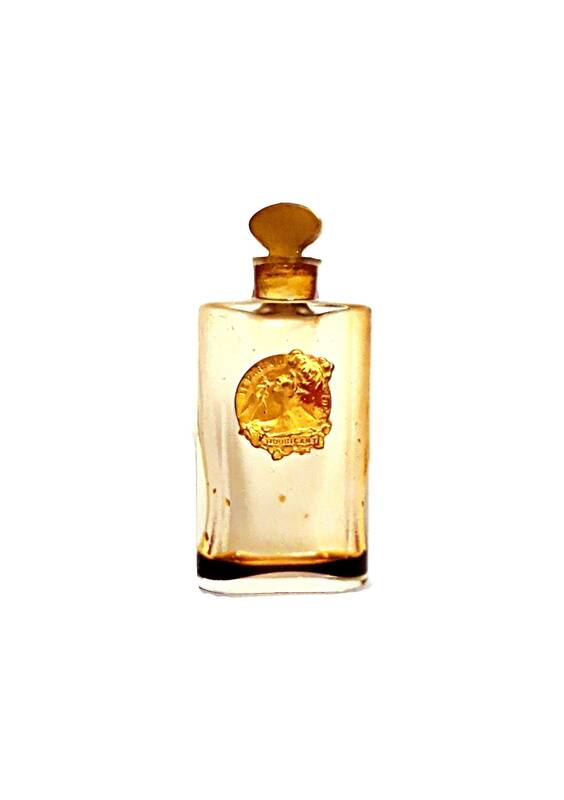 It was considered a chic and vibrant perfume with notes of rose and ylang ylang.